Remember those fashion "rules" that say you can't wear black with brown, no white after labor day or only skinny women can wear skinnies? I hate these. I know hate is a strong word but when someone tells me I can't especially when it comes to fashion, I want to do it more. In this case, mixing gold and silver jewelry. 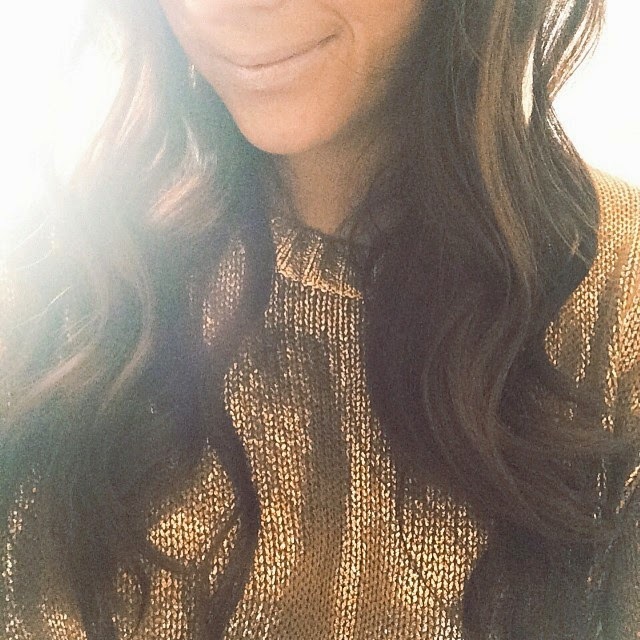 I am typically magnetized towards gold jewelry when planning an outfit but then I look at so many great silver pieces I have from my grandmother or from Tiffany's that I received as gifts and I want to be able to pair them together. I myself have found a few rules to break this "fashion rule" and left me wearing all my favorite and some new pieces. When mixing silver and gold there is no maximum number of pieces you can wear on your wrist or neck. Mixing your metals might be better when you have odd numbers of each silver or gold layering on your neck or wrist. Best thing about jewelry is that it always comes off so experiment and pile them on! I recently was gifted these pieces from Jewelmint that I found were perfect for when I want to mix metals. The quality of the pieces at the low price available through Jewelmint I was surprised and loved how well they mixed in with other higher end pieces I own. 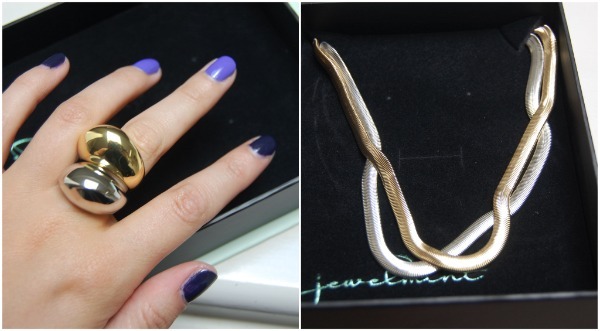 The neo bedrock duo is a ring set of both a gold and silver ring. I wore these rings on different occasions alone or stacked together to make a big impact! Another piece great to start your layering and metal mixing is the serpentine necklace. Two chain necklaces in silver and gold perfectly layered for you to wear. Both these pieces are a way to get the look fast without trying! When trying any new trend the best thing you can do is have confidence! When metals are bold and statements and contrast it will be clear that you were intentional in your mixing. Simple as that ladies! Thanks for this post. I've been trying to mix silvers and golds for some time now but it doesn't always turn out the way I want it to. I've recently made my own mixed metal necklace and bracelet and that's an improvement. Usually, my mixes look like I put the wrong bracelet on. Your suggestion to mix items so it looks like it was done on purpose and not by mistake is going to help me!